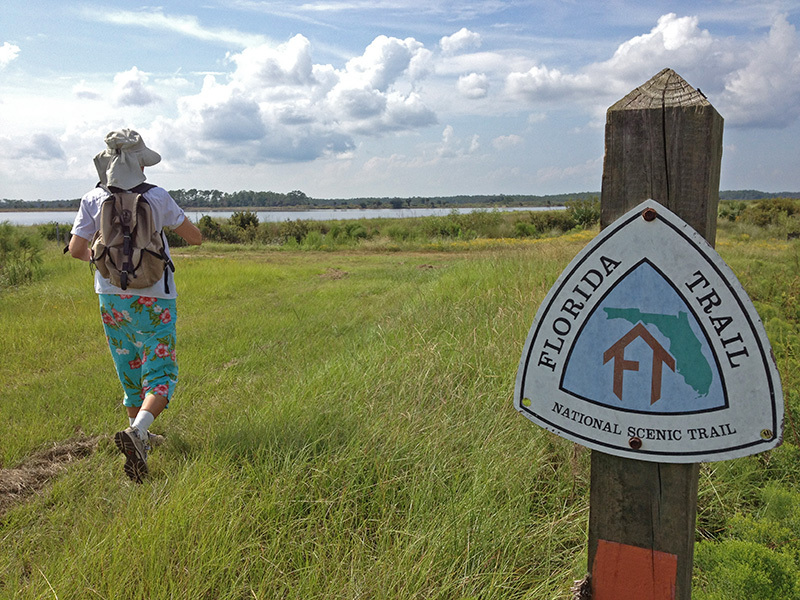 Walking the Florida National Scenic Trail along Florida’s Panhandle. The Florida Trail sprawls 1,400 miles across Florida through every region of the state — the Panhandle in the north to the Everglades in the south. It has a different set of flora and fauna compared to other national trails — a hiker may see alligators, bears, snakes and plenty of flying insects! This trail can be a good embarcation point for exploring the Everglades and other great parts of natural Florida. Hiking is recommended between the months of October and April. (In other words, conditions can be quite rough in the summer!) According to the National Park Service “1,250 miles are certified and open to use” — most of this route remains accessible to the public.